ಕರ್ನಾಟಕಕ್ಕೆ ಶನಿ ಕಾಟ ಶುರು ಆಯಿತು. ಹಾಲಿ ಕಾಂಗೈ ಮತ್ತು ಜೇಡೀ ಎಸ್ ಎಂ ಎಲ್ಲೇಗಳಿಗೆ ಲೂಟೀ ಕಾಲ. ಹುಚ್ಚ ಮುಂಡೆ ಮದುವೇಲಿ ಉಂಡವನೇ ಜಾಣ. 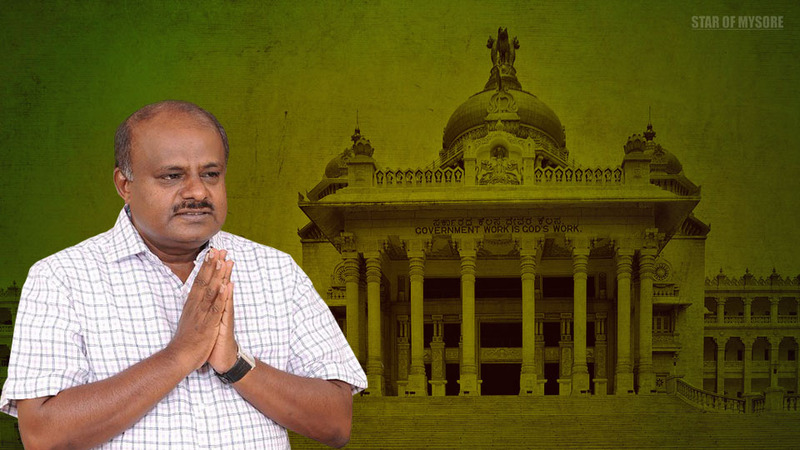 In a desperate move to thwart the BJP the single largest party in Karnataka from coming to power the Congress has committed harakiri by accepting the claim of Mr.H.D.Kumaraswamy to become the next Chief Minister offering him unconditional support.The JD(S) is out make the most of such a meek surrender from the national party with Mr.Kumaraswamy declaring that he will continue in power for the full 5 year term and that there will not be any rotational arrangement of 20 months each for the Chief Ministership as has been done with Mr.B.S.Yediyurappa earlier. An unseemly power struggle for the plum portfolios has already started between the alliance partners which have miserably failed to put up common candidates for the Rajarajeshwarinagar and Jayanagar assembly bye elections in Bengaluru. What is worse the Congress may be dished out a raw deal in Cabinet making and as regards calling the shots under the new regime. Obviously the Congress wants to gather steam by hanging on to power in Karnataka in the run up to the ensuing assembly elections in Rajastan and Madhya Pradesh and to the 2019 elections to the Lok Sabha.But there is a greater risk of marginalizing itself by allying with the equally power hungry JD(S) defying the public mandate which was in favour of the BJP. Applying break to BJP’s continuous wins was necessary! There was no visible anti-incumbency, there were no visible administration mistakes, no major corruption charges against Sri. Siddaramaiah’s Govt., yet his party could not make it to majority. But this time, the congress party acted swiftly than BJP in forming a coalition. Congratulations for both Congress & JD(S) for not allowing BJP. In the old Mysore constituencies, BJP did not field suitable candidates to win, instead it helped JD(S) to win against Congress! This was bad politics by so called national party BJP. People of Karnataka did a good job by not giving majority numbers to BJP and they made it clear that a coalition is good for them. Let us respect the verdict of the people!